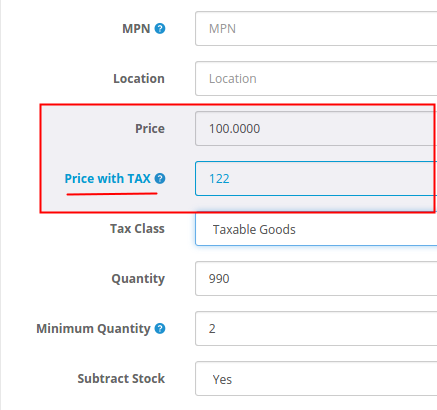 If you need to show price with tax (VAT or other), but need to input the price without tax (which is how Opencart works), then this module is for you. You will not waste your time anymore for calculating the right price separtately on the calculator. This OpenCart modification allows e-commerce store owner to input prices with tax on product edit form. The price without tax will be automatically calculated and saved with the form. 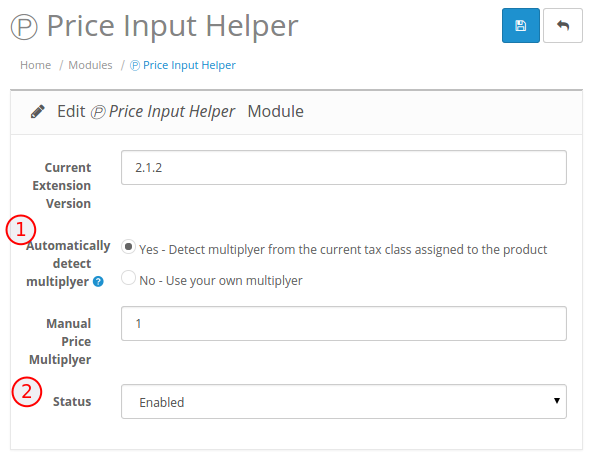 You can also navigate to Modules->Ⓟ Price Input Helper to see the configuration screen. This modification adds a helper field next to the price field at all locations where the price input is available. You just enter the price which you want your customers see and the price field will be automatically updated according to the price modifyer (or multiplyer). 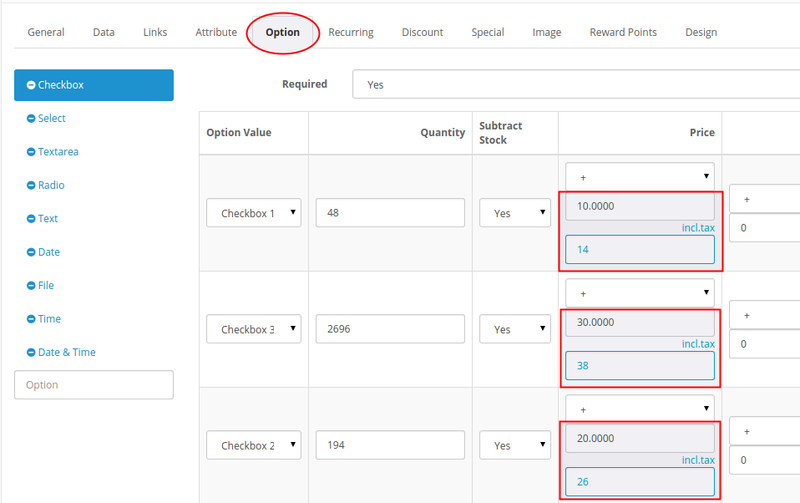 You can change the modifyer (or multiplyer) in the store administration under System-->Settings-->Edit in Option tab below the Display Prices with Tax entry. 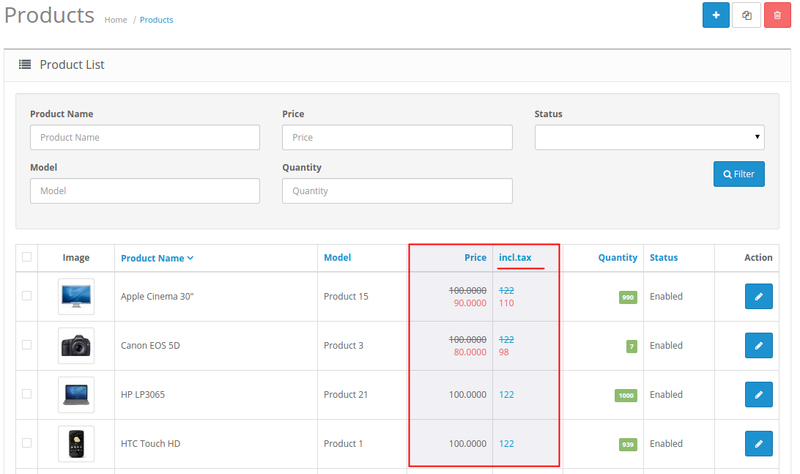 Product list page screenshot with additional column for price with tax. Options Price fields with helper fields. Special price fields with helper fields. 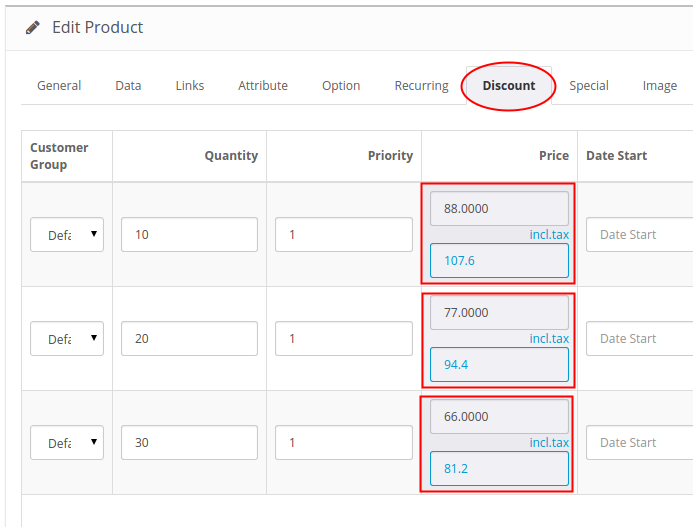 Product Discount price field with helper field. Submit your request at Issue Tracker or submit it on Partneris.net/contacts.